Venture into northern Maguuma with a ten player squad. To arms – Guild Wars 2’s first raid, as part of the Heart of Thorns expansion, went live last night. Composed of three wings, Spirit Vale is the first wing of the raid. It sees you and nine other players investigating the disappearance of a Pact squad in northern Maguuma. Obviously, enemies and dark secrets await. ArenaNet has introduced some nifty new squad AI to help players organize their raid groups better (and which play a larger part in World vs. World PvP gameplay) in a new patch. The raid itself will offer quite a bit by way of rewards, including ascended gear, miniatures, new weapon skins and components required for crafting Legendary armour. There aren’t any prerequisites as such for accessing the raid, though you’re advised to be in tip top form. 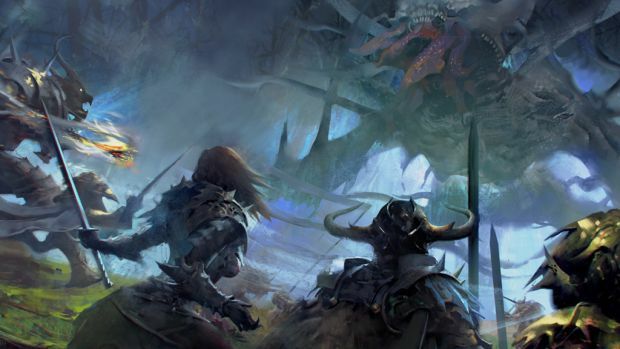 What are your thoughts on Spirit Vale and the debut of raids into Guild Wars 2? Let us know in the comments.